1. His characters are complicated. Take Patty from Freedom, for example. In college, she was a basketball star, ambitious and progressive. After she marries Walter and stays at home to raise kids, she doesn’t have a chance to work in her field. When the kids grow up, she gets depressed and withdrawn, Walter gives her a hard time about getting a job so she feels like she has “a purpose.” They argue. Patty ends up getting a job as a receptionist, which isn’t a particularly interesting job for her, but gives her money to buy a new wardrobe for herself. This is the kind of Franzen-esque arc characters take on– the endings aren’t happy. They just are. We watch Patty’s struggles, anxieties, and confidence transform in a human way throughout the novel– not a happily-ever-after way, not a Walter-is-right-Patty-is-wrong kind of way– just in an ebb and flow of pain and reaction to pain. 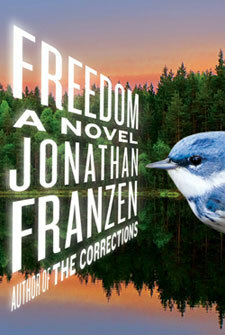 Franzen could have easily made Freedom a preachy book, or cast Patty’s story as a cautionary tale, but he didn’t. Instead, his characters’ autonomy and personhood place them outside of the good guy/bad guy binary. There’s no moral to the story– there’s just the story. 2) He makes the reader squirm. 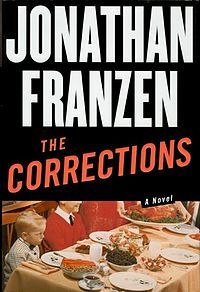 Some of the mistakes Franzen’s characters make are the kind of mistakes that are so painful, they make you a little sick, like when Chip Lambert, in The Corrections, takes drugs with one of his college students, sleeps with her, then gets fired from his job as a professor, then writes a screenplay about it, recasting himself as an unassuming victim of the girl. When I read this part, I felt stressed out on Chip’s behalf. Why did he have to do so many stupid things, one after the other? Couldn’t he control himself? At the same time, the squirm-worthy things in the novel made me read on with even more interest. Bad relationships aren’t the only thing in Franzen’s books that make me uneasy; it’s also the poop. I think Franzen mentions feces more than any other author I’ve read (except, perhaps, the chapter in Les Miserables where Victor Hugo keeps on talking about the Paris sewage system, and how sometimes, it overflows into the city and there’s poop on everything). Poop makes some extended cameo appearances in The Corrections with Alfred’s health problems and in Freedom, when Joey accidentally swallows his engagement ring and has to fish it out of the toilet later. These scenes still make me squeamish, just remembering them. At the same time, I couldn’t stop reading. 3) He writes with love. 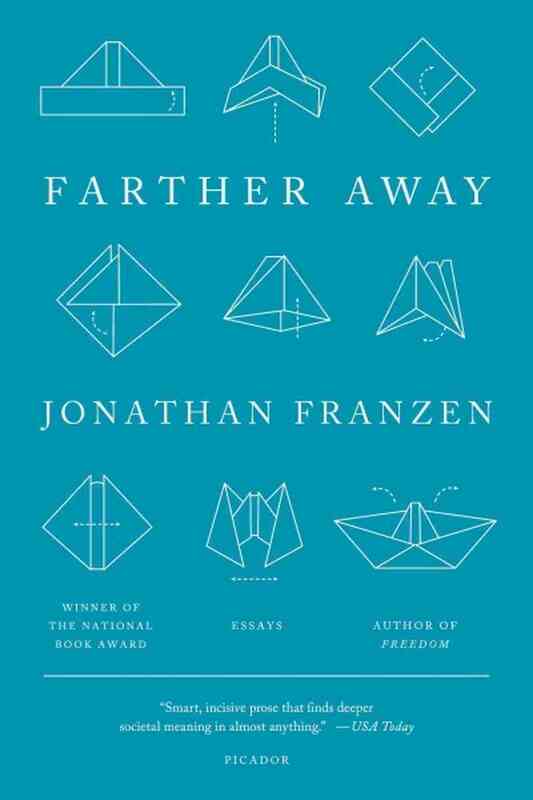 In “On Autobiographical Fiction,” an essay in Farther Away, Franzen writes, “If you really love the person whose material you’re writing about, the writing has to reflect that love.” And his writing does reflect that love. Sometimes, it’s difficult to recognize, because his characters are often at odds with each other, and sometimes, it seems like reconciliation is unattainable. But when things get really tough, his characters pull through. In some ways, I was surprised to learn that parts of his novels were borrowed from events in his life, but in other ways, I wasn’t surprised at all. It’s difficult to write about troubled relationships in such a pitch-perfect way without experiencing them in some way first hand. When he alludes to the end of his first marriage in this essay, it’s a little like reading an argument between Patty and Walter– the reader can see that both characters have their own insecurities and shame, and the conflict makes sense– but what makes it even harder to swallow is that there’s an undercurrent of love and connection. I came across this beautiful essay, “Envy,” by Kathryn Chetkovich (the full version can be found in Granta), which was written by Franzen’s ex-girlfriend, a writer who taught at UC Santa Cruz for a short time. In this essay, Chetkovich gives a different perspective of what Franzen is like, but she also does it with love. It’s so easy to write about break-ups the way Chip Lambert writes about his break-up in his screenplay– vengefully, with bitterness. But writing about bitterness and shame and envy with love is a much more complicated task, and both Chetkovich and Franzen do it extremely well. I had my suspicions that Franzen was a birdwatcher when I read Freedom, since Walter is a bird conservationist and a lot of technical details about birds comes up in the novel. I also thought it was equally possible that Franzen just did a lot of research about birds but felt only neutral about them, since, most of the time, Walter’s abiding love for birds seems eccentric at best and misanthropic at worst (he takes a neighbor’s cat to animal control without telling the owner for killing birds in his yard and all the neighborhood kids start thinking he’s a cat murderer). I wondered, is Walter really a character that a bird lover would write? Apparently, yes. While his love of birds is complicated and muted in his novels, he goes full bird lover in Farther Away, where a good portion of the essays are about birds and different conservation efforts. In a recent New York Times op-ed, Franzen wrote, “Whenever I looked at a bird, any bird, even a pigeon or a robin, I could feel my heart overflow with love.” Now, that’s something special. 5) He doesn’t participate in the saintly activist trope. 1. Jonathan Franzen hates the “like” button. 2. He knows everything there is to know about love. 3. The Corrections is an awesome book but now Franzen’s insufferability makes me think that I actually might hate it. 4. People get really worked up about phones. 5. It’s possible for your heart to overflow with love at the sight of a pigeon. This list cracked me up, because Franzen’s portrayal of Chip and Walter make it easy to transfer similar criticisms to them. It’s refreshing to read characters who are human, and don’t approach saintliness even slightly, despite their efforts to improve the world.